Quirky French madness par excellence. 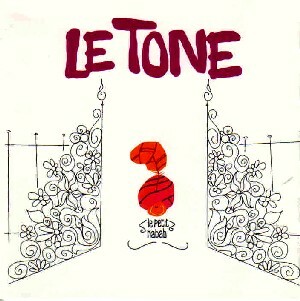 Le Tone is another in the growing list of French electronica artists, and he takes the sound, gives it a twist, throws a loop and ends up with an oddly endearing collection of bleeps, howls, scratches, squeaks, samples dotted around on a richly textured rhythmic background. The best track is the bleep-fest single ”Joli Dragon” with a little girl vocal by Judith but scratch-heavy tracks like ”Expression du Dumaine de la Lutte” and ”Mauvaise Graine” with deck wizardy by Doubleute and ”Bitter Crop” with its Billie Holliday sample also score.